Your Key to Red River Recreation! 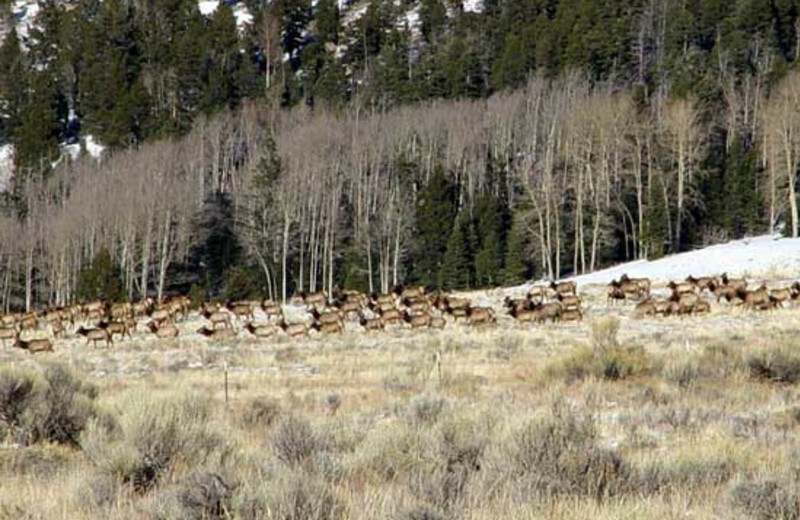 From skiing and snowmobiling to hiking and fishing, the tiny resort town of Red River, New Mexico is known for its big adventure. 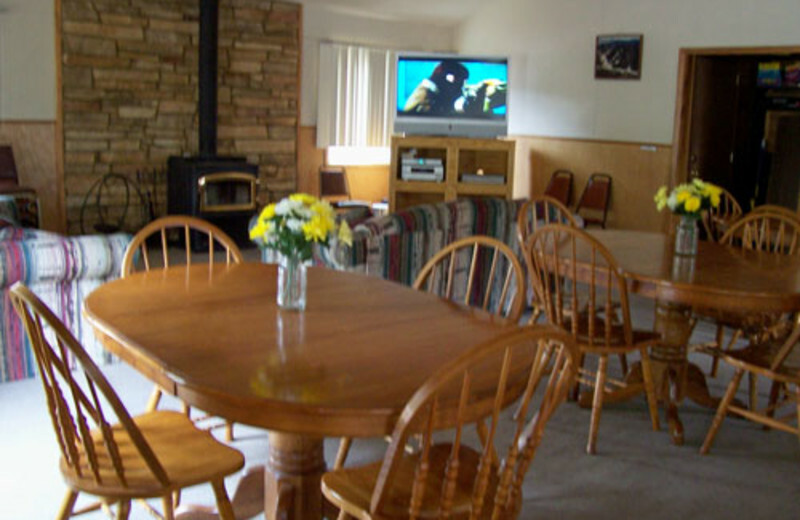 And, there’s no better place to rest after an activity-filled day than the Golden Eagle Lodge, offering cozy, spacious accommodations and down-home hospitality! You’ll feel right at home relaxing next to the Great Room’s fireplace while sipping on a cup of joe at the Fire Mountain gourmet coffee bar. Once you've had your fill, head outdoors to see what’s cooking on the complimentary gas grills before hopping on the Miner’s Transit Trolley, a fun and easy way to hit the slopes of nearby Red River Ski Area. Then, after exploring the Red River Community House, fall asleep on your pillow-top bed, and dream up what you’ll discover next in Red River! 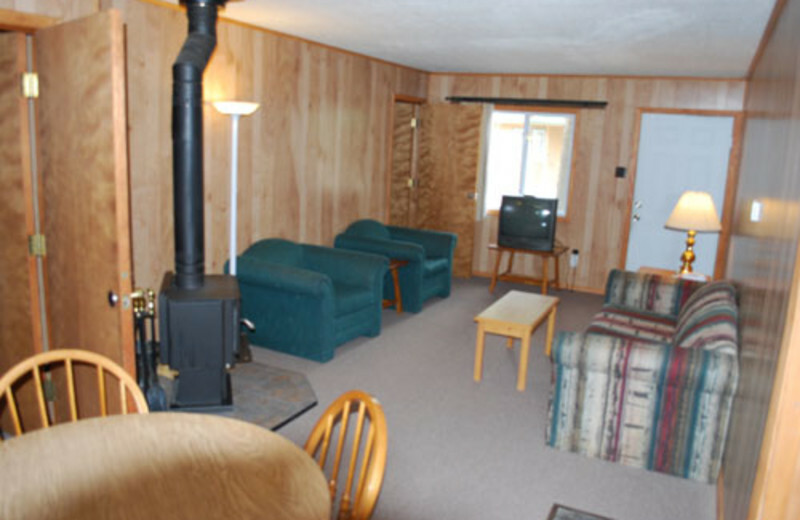 Golden Eagle Lodge's four-to-six person apartments are perfect for families visiting Red River. And, the kids will love the outdoor playground! Their spacious four to twelve person apartments offer all the space and comforts of home so you can enjoy a relaxing vacation together! Featuring 57 trails and a top elevation of 10,350 feet, the nearby Red River Ski Area is the perfect place to kick up some fresh New Mexican powder! The Enchanted Forest Cross Country Ski Area is also in Red River, and is a world-class for cross-country skiing and snowshoeing, with some trails where the family dog can join you. Don't worry about leaving your pet behind at home while you have fun on your vacation. 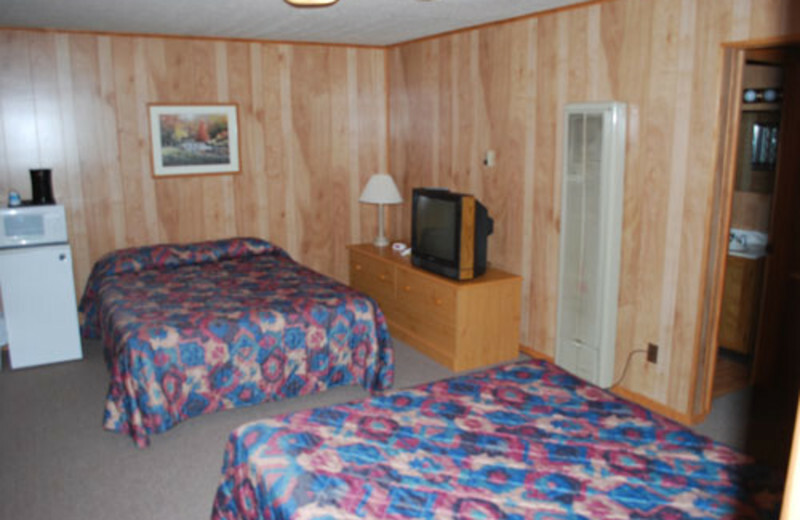 For only a small fee, well-mannered cats and dogs are welcome at the Golden Eagle Lodge! You'll love experiencing this beautiful Red River location with your favorite pet by your side! 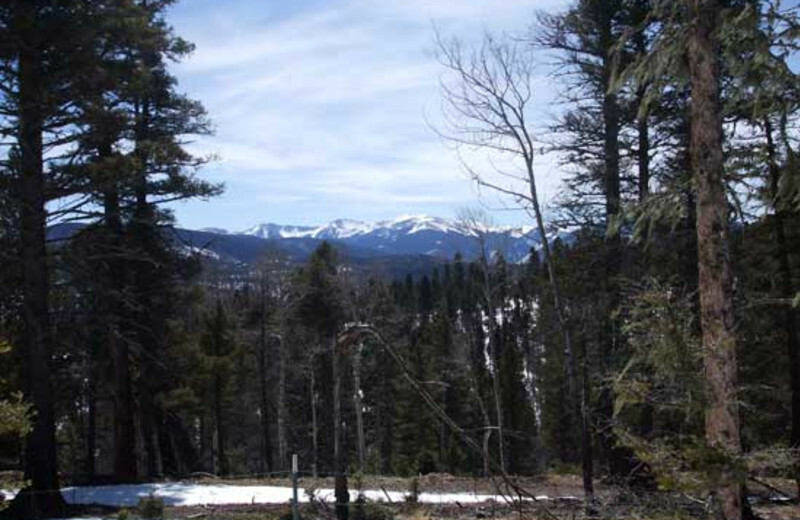 Golden Eagle Lodge offers a selection of accommodations to choose from for your New Mexico vacation. Featuring full kitchens, living areas, separate bedrooms, and wood-burning stoves, the two-person rooms are a great option for a romantic getaway or an outdoorsman escape. The four-to-six person apartments are perfect for families as are the three-bedroom apartments for groups of eight people! 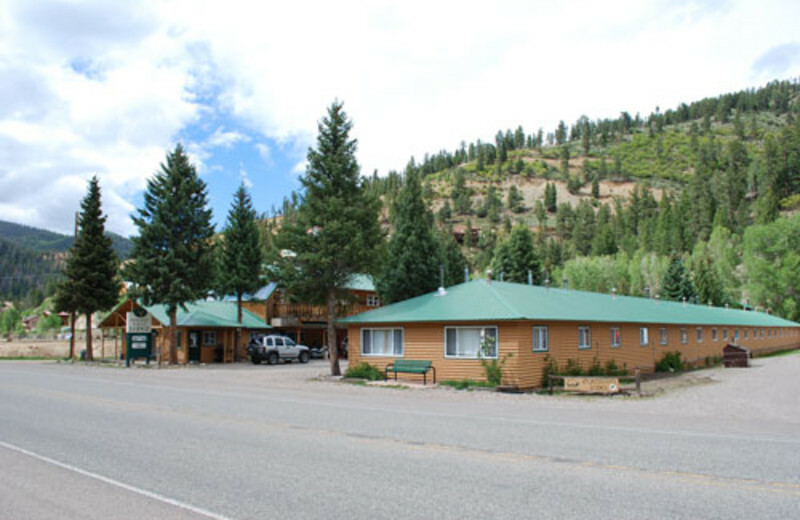 Close to nearby attractions like the Red River Community House, Rio Grande Gorge Bridge, and Wild Rivers Recreation Area, the Golden Eagle Lodge is the ideal place for a Red River holiday! Whether you're planning a trip with family, friends, or that special someone, you're sure to enjoy spending quality time exploring the surrounding area and just relaxing together. 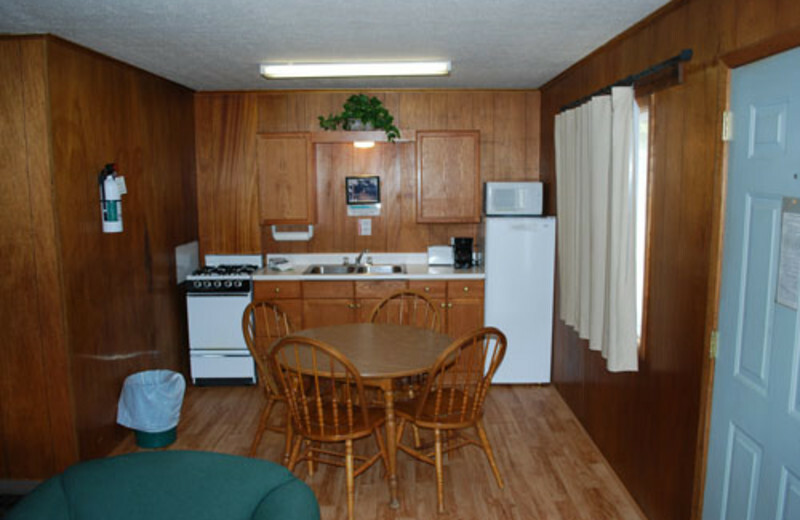 Their spacious accommodations offer many comforts of home to ensure your vacation is one to remember! 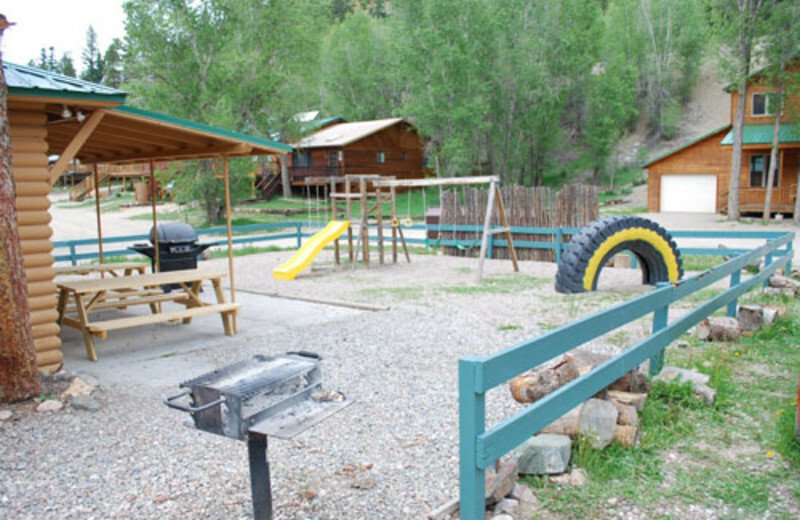 This property is ranked number 12 on Top New Mexico Family Vacation Lodging. Read about it here.